The book is written almost entirely as a series of letters from Samantha Moore (Sam), a 23 year old who has been in foster care for almost her entire life, to her mysterious benefactor. This is the condition for the scholarship she is receiving from her benefactor that will see her through journalism school. Sam chose to call her benefactor Mr Knightley as Jane Austen’s books were her escape while she went through the foster care system. Sam’s letters give us an insight into her person – shy, introverted and very unsure about herself. She constantly lapses into the strong characters from books and even uses their dialogues to get her through difficult situations. Katherine Reay has done a great job of showing a young girl emerging from her shell to take on the world, as Sam discovers her own strengths and depth. Sam starts to discover and express more of herself via her letters, but also with the encouragement and experience with several great characters, the author introduces through the story. How Sam attempts to run away from her painful past and is constantly challenged by another foster child, is very touching. The author also does a great job of showing the important role of mentors in the lives of young people in foster care. I found myself smiling, crying, cheering and rooting for Sam as I read this very enjoyable book. Here’s the giveaway information. This is open only to readers in the US and Canada. But hurry, the giveaway ends on December 3rd. 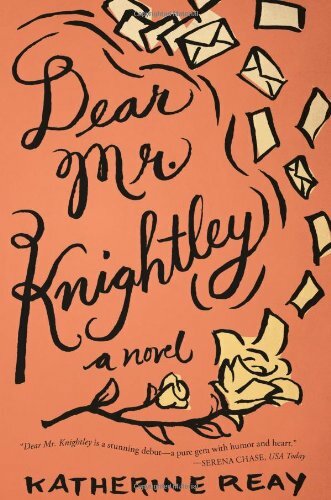 Winner will be announced at the “Dear Mr. Knightley” Austen-themed Facebook Author Chat Party on the 3rd. Join Katherine (and Austen fans) for an evening of book chat, prizes, and an exclusive look at Katherine’s next book. Don’t miss a moment of the fun; RSVP today by clicking JOIN at the event page. Spread the word—tell your friends about the giveaway and party via FACEBOOK, TWITTER, or PINTEREST. Hope to see you on the 3rd! Sounds interesting. am not a fiction person, but will check it out if I come across. And a great giveaway for people who are eligible.